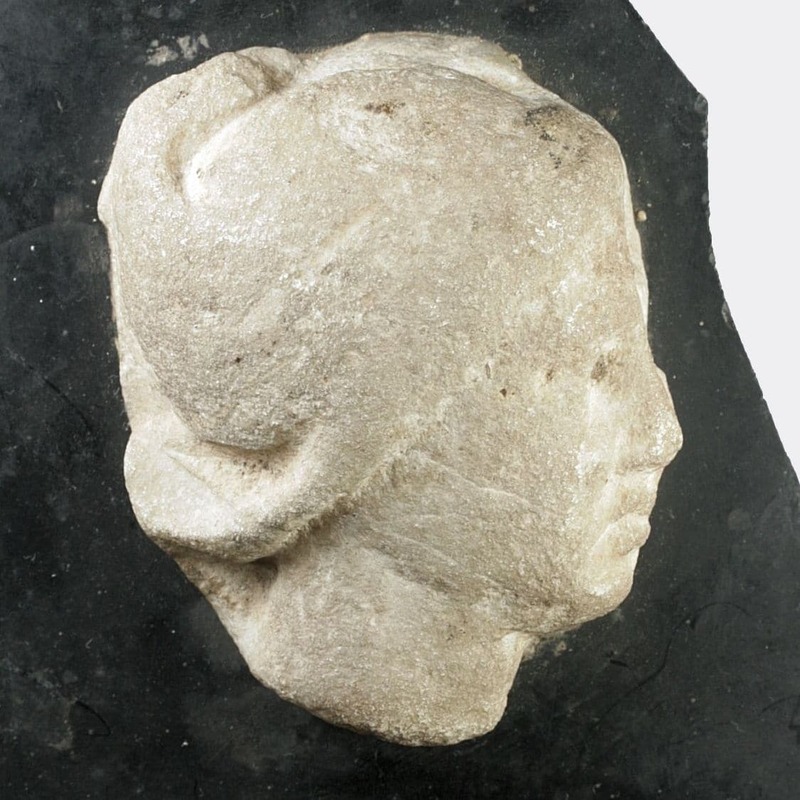 A fragment from a marble relief or stele depicting a female head in profile. Ex. 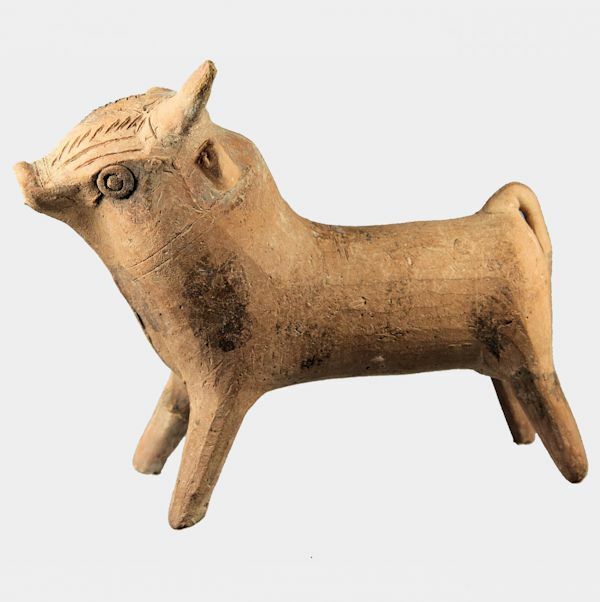 private collection, Normandy, France; formerly in an early-mid 20th Century collection. 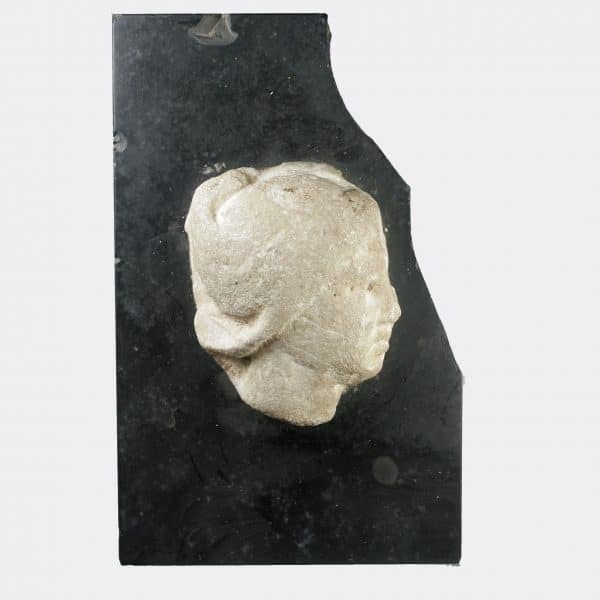 Mounted on a fragment of polished black marble (not ancient).